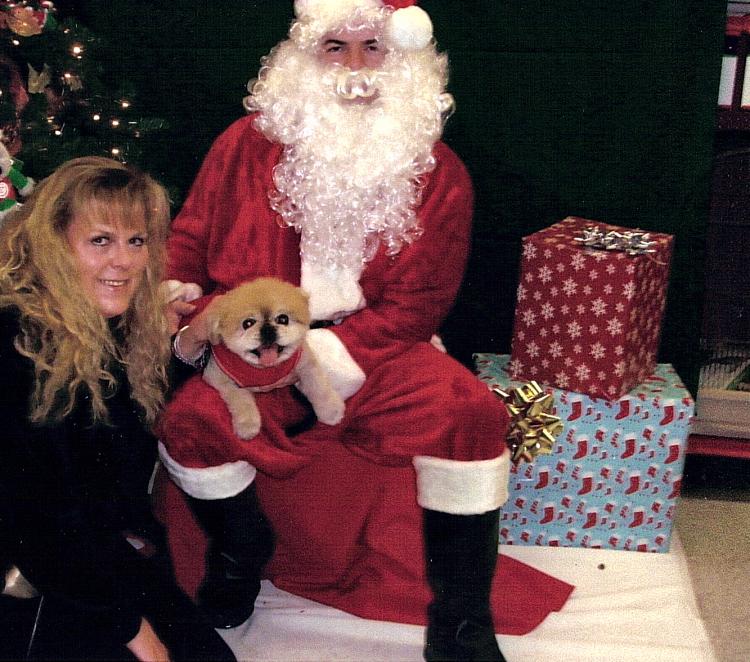 Here is Milkshake (Now Lilly) at home with her new mom Joanne and her new best Pekingese buddy Malcolm in New York. She is a Happy little Girl to have found such a Loving home. This is Laura with her Amazing 15 Year Old little Pekngese Male "Buddy" He is so Cute and don't you think he looks like a little Teddy Bear? Laura says Buddy does really great for his age, and he is only missing One Tooth and still goes on his walks every day. Laura is Obviously a Wonderful, loving and caring mom to Buddy. This is Carolyn and her little Boy Chubaka. Carolyn adopted Chubaka from me Many years ago, and she has come back and is now adopting our tiny baby boy "PekeaBoo" who you can see on our Puppies Available Page. THANK YOU CAROLYN FOR BEING SUCH A WONDERFUL LOVING MOM TO OUR BABIES OVER THE YEARS. Chubaka's mom is Miss Milan, and daddy is Little Tanner, both Retired now, but you can still see them on our web pages. 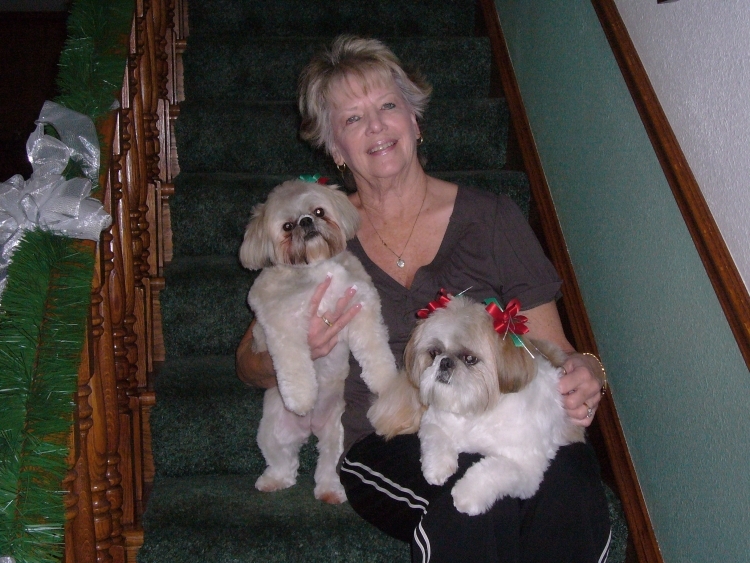 Meet Andie with Daisy Mae and Lilly Ann who she adopted from me over the years. Daisy Mae will be 6 years old March 29th. and she is now being Featured in Walden's and Borders Calendar this year and she is "Miss March" Hubby Jim took this picture and it's too bad him and thier older Shih Tzu family member Tasha are not in it with them as they are all a Wonderful Family. Jim said that Lilly Ann is the Hair Stylist in the family and begins removing Bows and Ribbons soon as they get home from the Groomer :) Lilly Ann's Mom is our Shih Tzu "Lovely Laverne" and she may be having tiny Shinese Hybrid puppies in May. How Exciting! Thank You for the Picture Jim and Andie. I Love it.